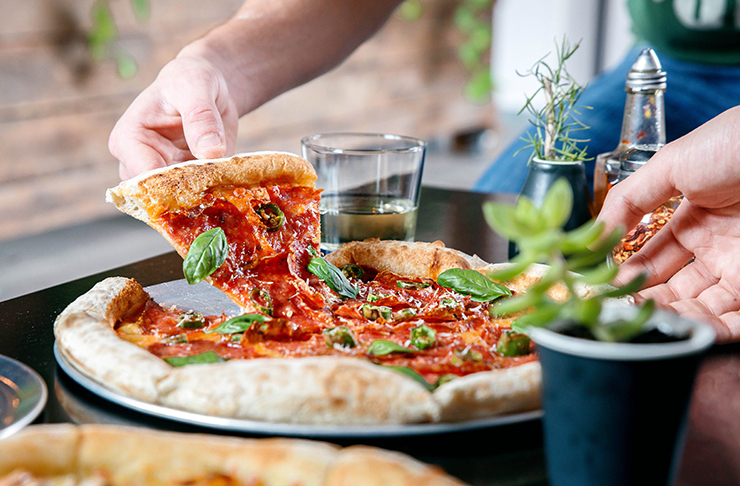 Bringing some much-needed vibrancy to the Guildford Road end of Eight Avenue in Maylands, Rossonero is dishing up really good pizza from an uber cool converted garage. Tucked down Lyric Lane, conveniently perched behind a bottle-o so you can pick up some drinks on the way in (yep, it's BYO! ), the menu features local produce and a whole lot of inventive pizzas. With 15 pizzas to choose from, narrowing down your selection won’t be easy, so we say go with a crowd, order as many as you can and plan to have leftovers for breakfast tomorrow. 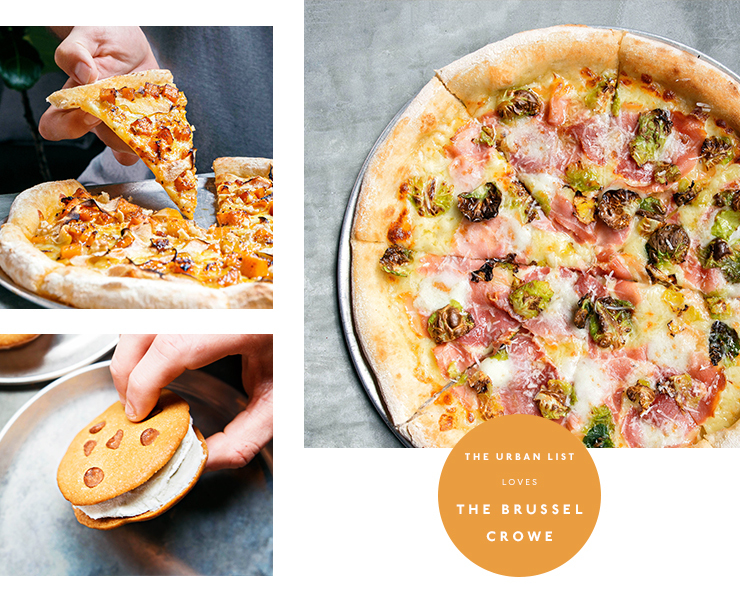 Being big fans of brussel sprouts, it’s no surprise the Brussel Crowe pizza is high on our hit list. A white base topped with the aforementioned sprouts, pancetta, garlic oil, buffalo mozzarella and parmesan—it’s a crowd favourite. You’d be crazy not to order the Sticky Pig, with bacon, sliced potatoes, feta, apple and fresh thyme on a white base, drizzled with butterscotch sauce. Yes, that’s right, butterscotch sauce! And if you’ve still got a sweet tooth after that, the Honey I’m Home is for you. Hot sopressa, tomatoes, mozzarella, chilli, parmesan and fresh basil sit atop a tomato base with honey (from local producers Honey I’m Home) drizzled on top. For dessert, grab a round of gelato sandwiches for all. At just $5 a pop, they’re the perfect sweet ending to a delicious pizza feast. Being the legends that they are, Rossonero offers to make their pizzas on gluten free bases and they have assured us that vegan cheese is coming soon. Plus, you can SMS your takeaway orders—perfect for those of us millennials who suffer from phone-fright! Open Wednesday to Sunday, make a beeline for Rossonero in Maylands, stat, and prepare yourself for some deliciously good times.